Woodwind, Brass & Percussion Players are invited to a Wind Band day in Wymondham on Sunday 24 March 2019. 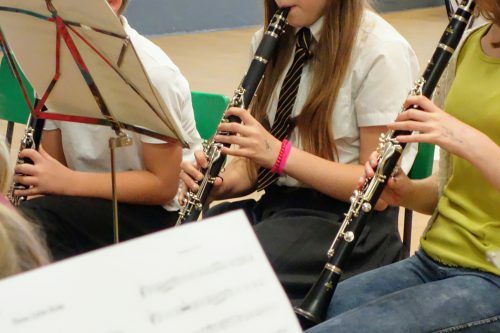 This is an opportunity for the more experienced and able musicians who play woodwind, brass and percussion instruments of a grade 4+ standard to meet together to form a wind band for a day. There is no age limit – this day is open to both adults and children to enjoy the experience of playing along together and making music. Repertoire to include Concert Band Standards, Show tunes and Pop medleys. Age limit: There is no age limit! (As long as you meet the required standard of playing) Adults and children are all welcome. There will be an informal concert at 5.15pm to friends and families.